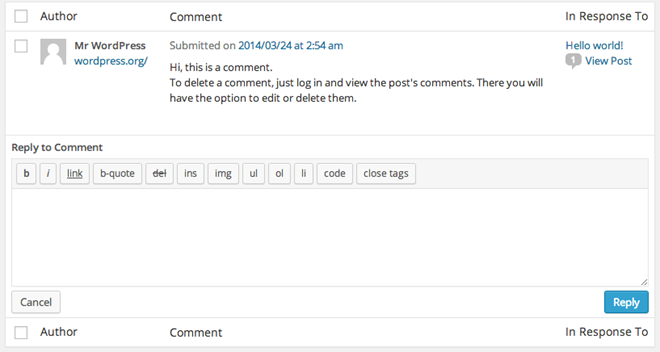 This screen allows you to reply to any comment on your website. Simply enter your reply in the bottom half of the editor and click on the Reply button or the Cancel button to cancel your reply. Once you submit a reply it will be published on you website for the public to view.